© Hans Decoz - 2009. All rights reserved. In my previous global numerology forecasts for 2008 (political and economical mayhem) and 2009 (brotherhood issues, the search for common ground) I mentioned the decade 2008-2017 would be a pivotal period in the evolution of mankind. The Mayan's note that 2012 marks the end of a 5,126 year cycle (and the beginning of a new cycle), which seems to me to be pretty much right on the money as 2012 represents the 5 (change, change, and more change) Universal Year cycle within the aforementioned 2008-2017 epicycle. Of course, cycles don't actually start on one specific day but rather behave like waves; there is a run-up period that increases in intensity, a climax (usually not recognized as such for some time after that), followed by a relatively slow fading back towards some state of normality. The eventual state of normality we reach at the end of the 2008-2017 decade will look vastly different from our current world. In fact, as I have mentioned in previous blogs and articles, even the most imaginative and optimistic among us will probably underestimate this "new" world. The numbers for the coming year show a wide range of challenges and opportunities but one dominating factor overshadows everything else; the leadership challenge. On every level, and most obviously the global playing field, changes in leadership positions will be a main issue causing tensions in the political and economic arenas. With the number 1 represented as the main challenge number for 2010 - producing a kind of "vacuum effect" as a controlling factor - we can be sure the competitive relationship between the major powers will only increase. Whereas the US has for decades played a decisive leadership role, this is no longer the case now that the EU and China are catching up and, in some cases, have bypassed the US. And among smaller nations, including some developing countries, the aggressive competition among neighbors may give rise to violent skirmishes if not full-blown wars. Nowhere is the difference between a negative 1 and a positive 3 as obvious as in organized religions. Where an increase in aggression and ruthless competition (the number 1) enforces intolerance and the narrow-minded dogmas of those low on the evolutionary ladder causing this sorry state to continue to play its destructive role, while on the other side of the spectrum the glow of the number 3 brings increased tolerance and understanding and boosting the spiritual experience of those individuals who choose love over hate, light over darkness, joy over misery. Looking at the Universal Month cycles 2010 should bring some additional surprises. January gives a boost to the global economy and puts many people back to work, however, there is also a considerable dose of frustration and a sense of stagnation as for many others it feels like they are moving through a field of mud. February will be very dynamic and turbulent as it brings some completely unexpected turns and events (possibly weather related), some good, some bad, but overall it is probably a good thing that there are only 28 days in that month. March gives us a sense of progress and optimism, while April moves spiritual and religious issues to the foreground. May brings peace to some areas, violence to others as the need for, and shifts in, authority and control dominate many areas on the planet. The bigger changes and the most important shifts take place during June and July when we jump from a 9 month (June) to a 1 month (July). Given the overall picture of 2010, this could be a particularly noticeable shift affecting especially the economy, but natural disasters like earthquakes and volcanic activity could also be part of the picture. August has a soothing effect that will be a bit of a relief, while September is a month when nothing is what it appears to be as seemingly successful diplomatic missions cause major problems, while instances of potentially catastrophic dangers fizzle out with nary a consequence. October, like January, sees improvements in the economy but also brings long-simmering frustrations and anger to a head, culminating in strikes and protests. November represents chaos but may actually be healthy to the extent that it re-aligns priorities. December brings family and personal responsibility issues to the foreground but appears to be fairly stable and relatively calm. WHAT ABOUT THE CYCLES IN YOUR PERSONAL NUMEROLOGY CHART? 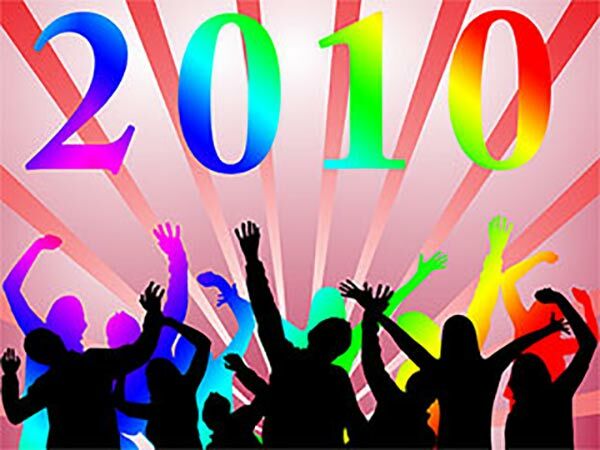 And how will 2010 affect you as an individual? While Universal cycles play a key role on a universal and global level, when it comes to you as an individual, your personal cycles are much more important, and you will benefit significantly from a personal numerology forecast as it is, in my humble opinion, by far the most accurate picture of your personal experiences for the coming year. And after all, knowing what to expect makes you much more likely to succeed and prosper. If your Life Path is 1, you have an advantage in 2010 since leadership issues are at the core of this year's Universal cycle and taking charge comes natural to you. If your Life Path is 2, you will need to apply all of your considerable diplomatic skills and intuitive powers to further your goals and prosper. If your Life Path is 3, you may find the wind in your back through most of 2010 as your personal cycles are nicely aligned with the Universal cycles. If your Life Path is 4, you may experience some frustration and disappointments during the first half of the year, but your progress by the end of the second half of 2010 will be more than you hoped for. If your Life Path is 5, you are well prepared to deal with the unexpected changes that will be a big part of your 2010 experience. If your Life Path is 6, you will find that your circle of family and friends expands giving you quite a bit of comfort and support. If your Life Path is 7, you, better than most, understand the significance of my comments regarding the importance of this nine-year epicycle as your spiritual growth is a constant you have lived with all your life. If your Life Path is 8, you have an opportunity to benefit materially from the economic spurts of growth during 2010. If your Life Path is 9, this is a time to be focused on others and put your own needs on the backburner. You will be surprised how this will be to your own considerable benefit.